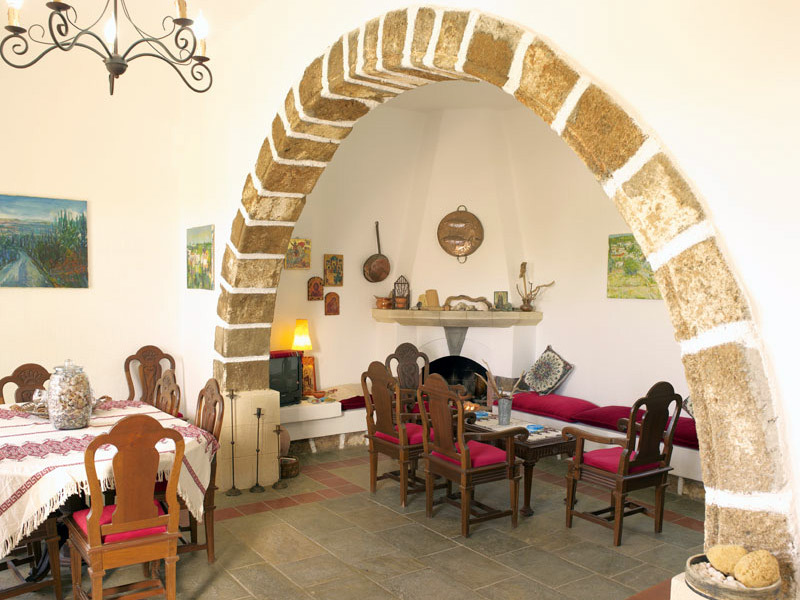 Theofilos House is a beautiful, traditional 2 story house built in 1992 which is located in Lahania Village on the south of the island of Rhodes. This stunning house is situated in its own private high walled courtyard with gardens abundant with fruit trees, herbs and Greek artefacts. 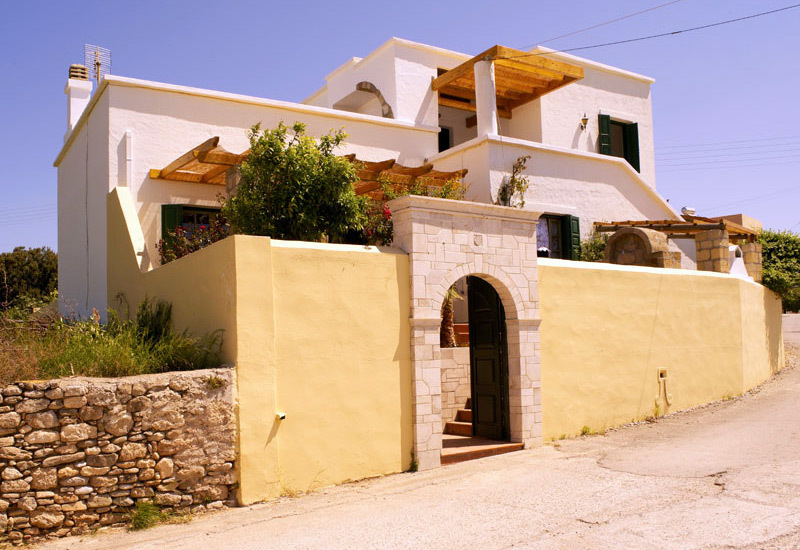 The main house has a private double bedroom (with baby cot), two large beautifully hand carved bangas (traditional Greek sleeping platforms), kitchen and bathroom and can sleep up to eight people. 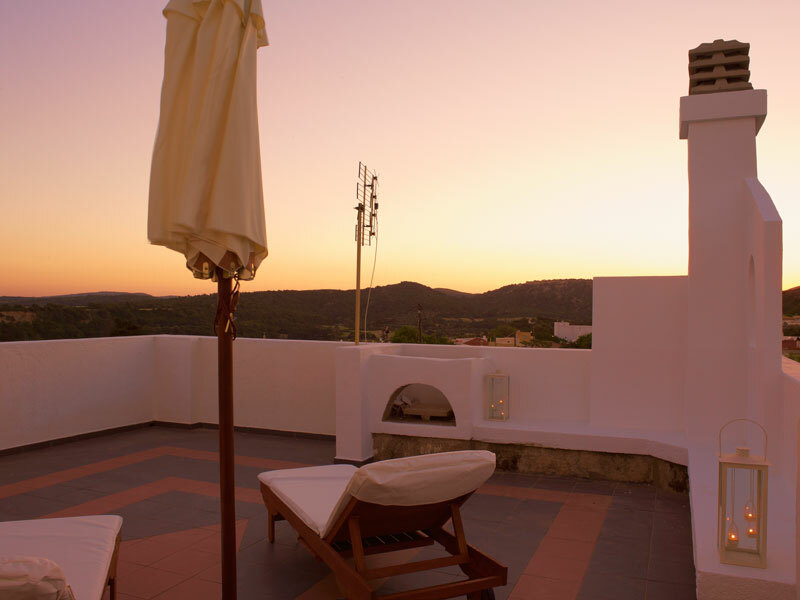 On the second floor, which is accessed from the outside of the house, there is a huge sun terrace with extensive views of the village, the lush surrounding countryside and the lovely blue Mediterranean and a self contained annexe with a double bedroom that can sleep two people, a kitchen and a bathroom. The private garden also contains a Mediterranean kitchen, outside shower and bathroom and a traditional bread oven. 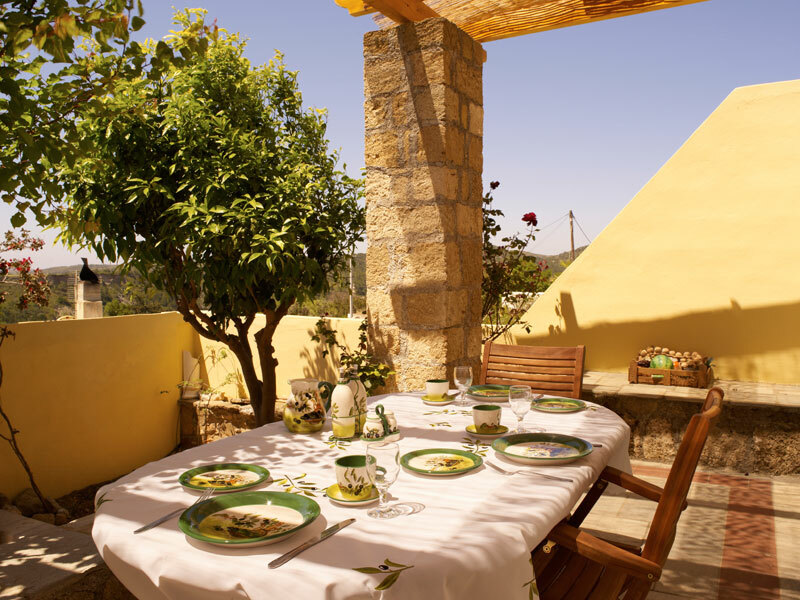 The house has a stunning porch area which is perfect for al fresco dining. The house has television and free air conditioning. Both kitchens contains coffee makers. There are full cooking facilities as well as fridge freezers and the annexe kitchen has a washing machine. The sala or main living room is lovingly furnished by the owners and has a working traditional fireplace. 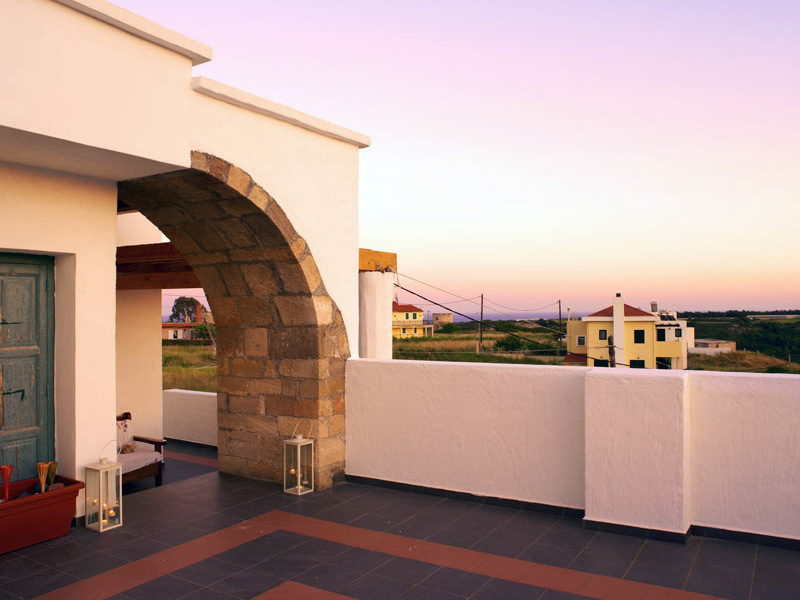 The beautifully landscaped gardens at Theofilos House provide a truly secluded and peaceful retreat from the hustle and bustle of every day life. It is a fabulous detached home that pleasingly combines the antique with the modern. Lahania is located on the south of the island of Rhodes. Enjoy endless quiet beaches and crystal clear waters, it is a truly magical and unspoiled region. Lahania has several traditional tavernas where you can enjoy good local food and soak up the atmosphere of a genuine Greek village.